Hurricane Harvey began pounding the middle-to-eastern part of lower Texas on Friday, August 25, 2017. A tropical storm that rapidly intensified to a Category 4 hurricane, Harvey made its initial landfall at the small town of Rockport, TX, virtually wiping it off the map in terms of devastation and damage. 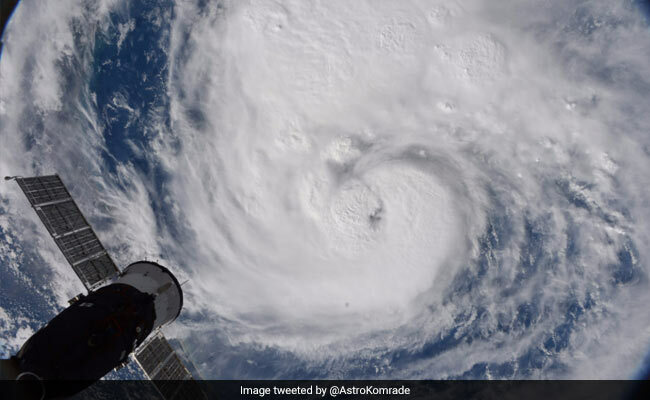 An unusual weather pattern that had a persistent low pressure system from the west and high pressure system from the east kept Harvey virtually stationary for almost five days. This is about quintessential leadership. Ethics. Doing the right thing. Making the right choices. The fields we’re in don’t matter. The choices we make do. Always. Never forget that. When you forget that you are responsible for the choices you make, then you forget your principles, your ethics, your moral principles. In short, you forget that you are a quintessential leader. As quintessential leaders, we can never forget what our foundation, our principles, our ethics, the very cores of who and what we are consists of. In life you would always have two options for everything. That’s why we are tagged as byproduct of the choices we make in life. As a communication professional, you would make some good choices and some not so good choices in choosing your employer. Lets face it, communications, as a function is not a common one. In some organizations the communications role doesn’t exist. This is not a local practice but a global trend. Businesses don’t really understand what corporate communications is? No wonder we are often struggling to quantify what we do in the organization. A quick review of the week of March 15, 2013 finds further examples of unquintessential leadership already noted with two principles here previously. 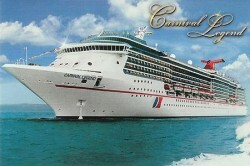 The first is Carnival Cruise Lines. After the debacle the week of February 15, 2013 with the Triumph, this week brings stories about three of the cruise line company’s other ships having similar troubles. The Dream, Elation, and Legend cruise ships all experienced technical difficulties this week, and all have had to be either towed, stopped early, or are limping slowly back to port. Once again, Carnival’s response is to offer insignificant refunds or discounts, instead of taking their whole fleet off the water for whatever time it takes to update the equipment and make the vessels seaworthy and trustworthy. This is unquintessential leadership because these are serious and potentially dangerous, if not fatal, problems and those in leadership positions are unwilling to acknowledge and fix them immediately, no matter what the cost in money or time is. Those in executive positions at Carnival Cruise Lines are unquintessential leaders because they don’t care about the safety of the passengers nor the reliability and trustworthiness of the company. Instead, all they care about is how much money they can make. This is greed and selfishness in action. The second principle is freshman Senator Ted Cruz. Senator Cruz is a Harvard Law School graduate who should be totally knowledgeable about the difference between an opinion about the U.S. Constitution and what the U.S. Constitution actually says. If he’s not, then Harvard needs take a serious look at its law school curriculum and professors. On Thursday, March 14, 2013, Senator Cruz, in what has become his customary rude and disrespectful manner toward more-seasoned legislators, argued during a Senate Judiciary committee meeting than a ban on assault weapons is unconstitutional. In a condescending “schooling” session directed at Senator Dianne Feinstein that, in essence, implied that she had no understanding of the 2nd Amendment, so she needed it explained to her, Senator Cruz said that banning assault weapons is to the 2nd Amendment what censoring books is to the 1st Amendment. The Supreme Court ruled definitively on the scope of what the 2nd Amendment covers in 2008’s District of Columbia V. Heller, with Justice Anthony Scalia’s majority opinion, which clearly says that 2nd amendment does not preclude banning assault weapons. The reality is that at the time the amendment was added to the U.S. Constitution, no assault weapons existed, and the intent was to give all U.S. citizens the right to protect their homes, property, and families, and to feed themselves through hunting. It goes without saying that one doesn’t need assault weapons to do either of these things. So Senator Cruz shows his unquintessential leadership again in several ways. First, he doesn’t even know the body of constitutional law involving the 2nd Amendment, which is unacceptable for a person in a leadership position who is a member of a committee that deals with matters involving constitutional law. Second, he is contradicting, without legitimate basis, the highest legal authority in the United States. And third, Senator Cruz consistently shows contempt and disrespect in his dealings and conversations with his colleagues, many of whom have served much longer – admittedly, probably too long in many cases – in the United States Senate than he has. These are two news items that caught my attention regarding quintessential leadership – or the lack of it – this week. I urge all of us as quintessential leaders to observe the world around us – and that includes the news – and find mirrors that we can look into and see if we’re being the quintessential leaders we’re striving to be and say we are or there are areas where we are being unquintessential leaders and we need to change. I’ve certainly seen some unquintessential leadership things in my mirrors this week and I have committed myself to changing them into quintessential leadership. We all have our weak spots and our blind spots and our unquintessential leadership thoughts, attitudes, and actions. The difference between an unquintessential leader and a quintessential leader is that unquintessential leaders always look through windows, so they never see what they need to see about themselves, only what others need to do or change or be. Quintessential leaders, on the other hand, look into mirrors and when they see the reflections of themselves, they see what needs to done, changed, or who they need to be, and they immediately commit to and start taking action to make that happen. So my question to you, fellow quintessential leaders, is are you looking through a window or are you looking into a mirror?